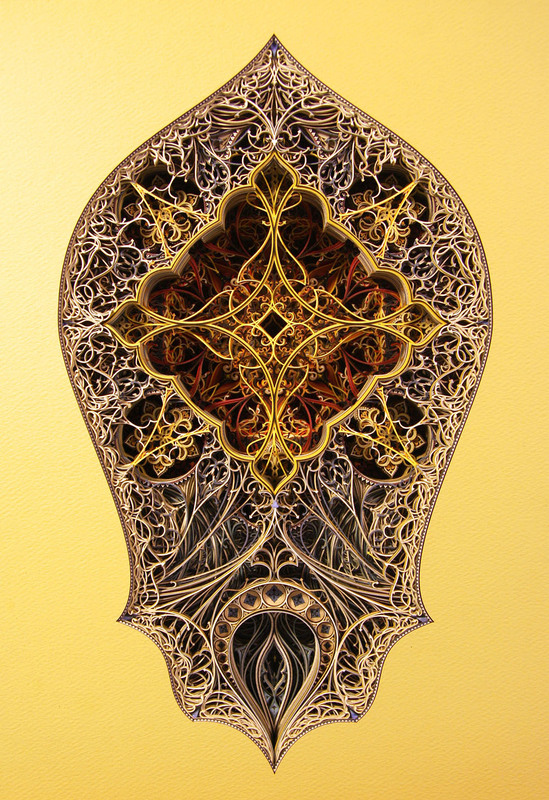 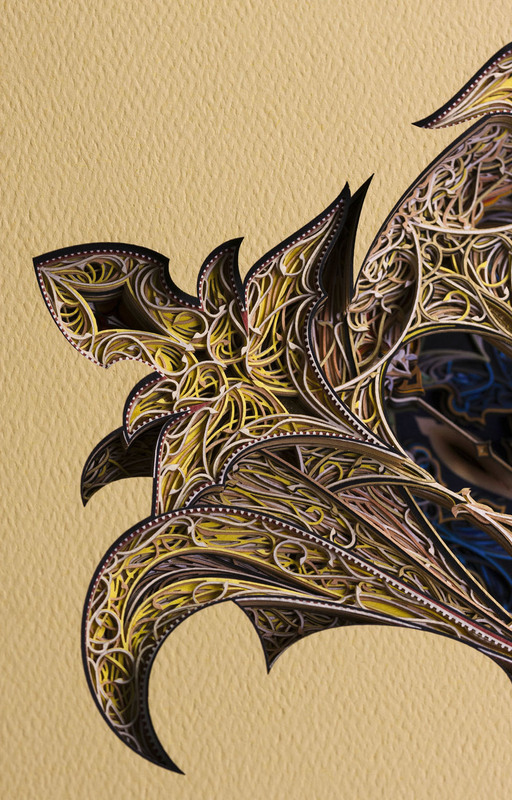 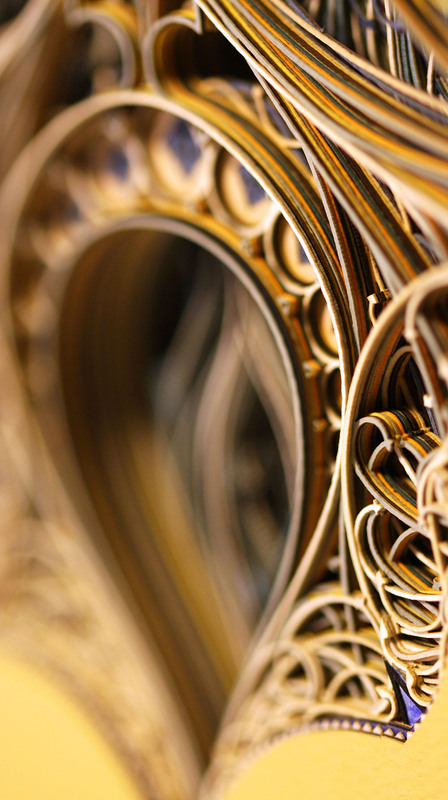 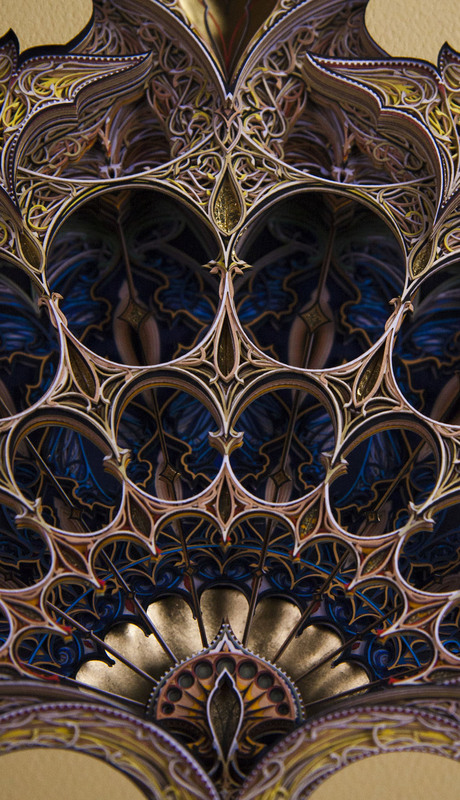 Eric Standley works on paper sheets superposed and laser cut. 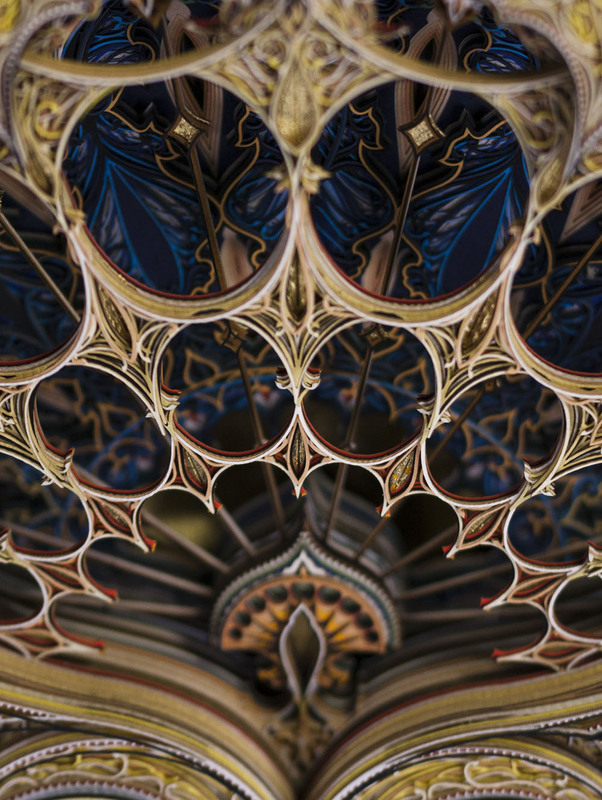 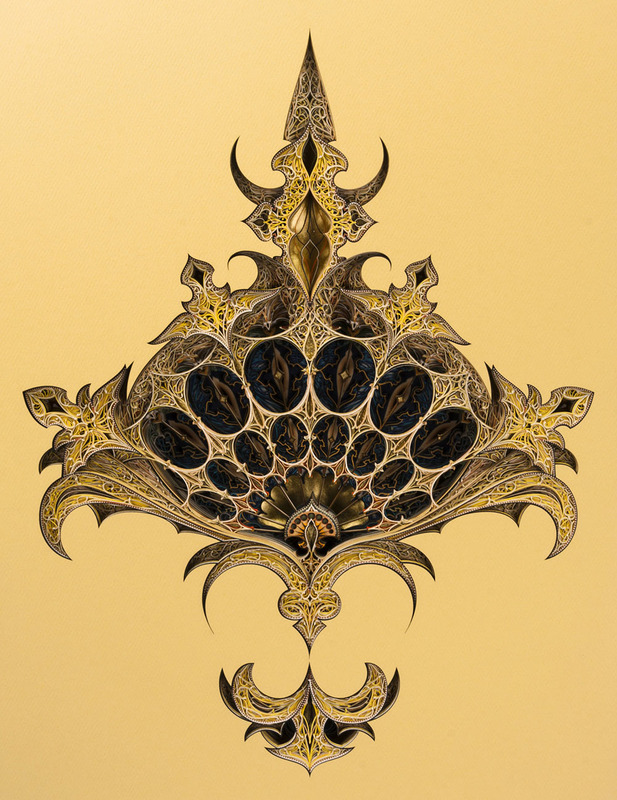 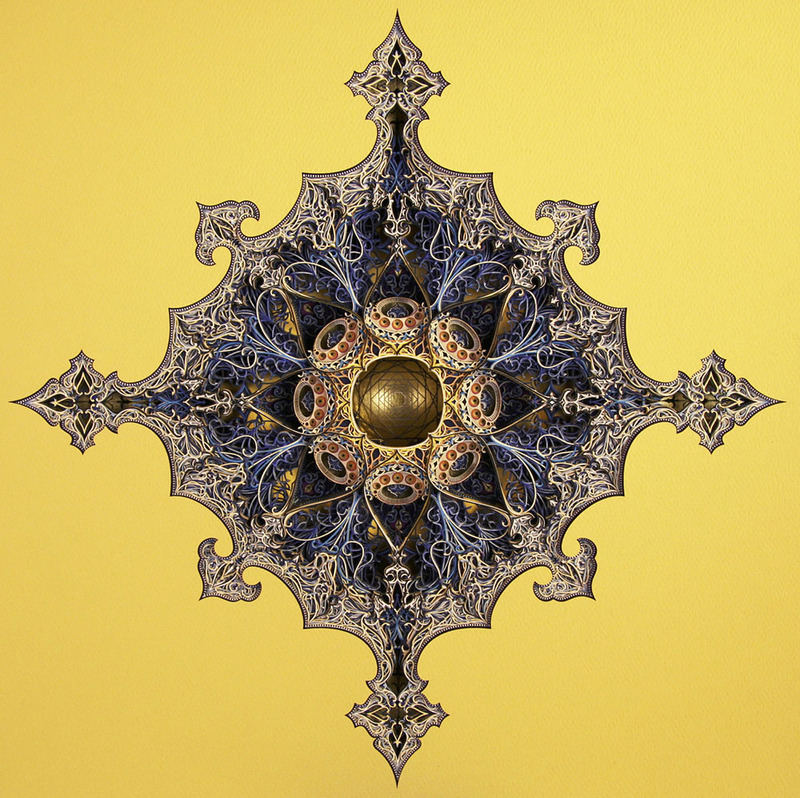 With an incredible virtuosity, he creates artistic shapes inspired by gothic, Middle-Age and islamic images. 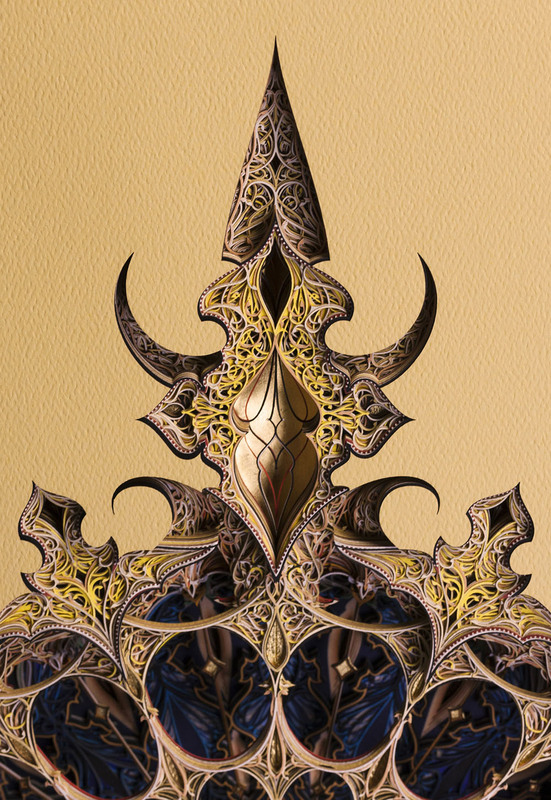 To create his artworks, he uses the phi ratio, for instance in his sculptures Kismet and Phidala.